Training Resources Inc. Founded in 1986, we are a training company focused exclusively on computer software and its implementation. We have a long track record of success helping business professionals get new software up and running in their companies. Our areas of expertise include instructor-led group training, computer based training development (CBT), and software project iimplementation. 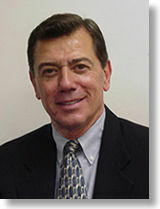 Tom Minero is founder and president of Training Resources. In twenty years as an IT industry consultant and nationally recognized trainer, Tom has helped literally hundreds of firms implement new technology successfully. Take advantage of Tom’s experience and easygoing manner to guide you through the various technical issues involved in understanding how to make Document Managemen software work in your business. Use his expertise to help insure a successful Electronic Document Management implementation for your company. Tom holds a Masters degree in Management Science and is certified both CDIA+ and CDP.